The Best Comb In The Business! The Nit Free Terminator Comb is by far the best nit removal comb on the market. It is a Stainless Steel Microgroove comb with an anti-slip band area that allows for a tight grip and control on the comb particularly when hands are slippery from treatments. This spray is a specialized mint formula that wards off head lice. Lice find the smell of our Mint Spray offensive and will not attach to the hair. 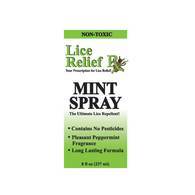 Mint Spray may be used as often as necessary to help anyone who is treating head lice. 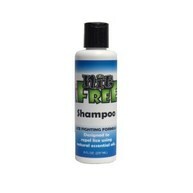 Nit Free Shampoo is a natural and sulfate free shampoo with conditioning properties that is great for daily use and lice treatment. 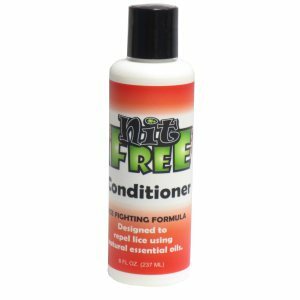 Nit Free Conditioner is non-toxic, sulfate free, made with essential oils, fights lice and their eggs, contains no pesticides, and safe for daily use. For parents treating stubborn nits. 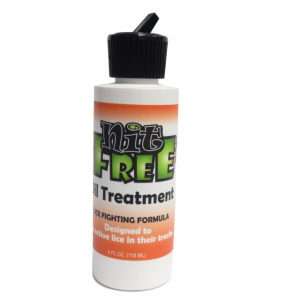 This treatment loosens the nit glue and makes combing the nits out simpler. This kit contains everything you need to eliminate your lice problem at home! Included in the clear vinyl reusable bag is mousse that kills the live lice, oil treatment that loosens the nits, detangler to help with the combing, and the terminator comb. Instructions are listed on each bottle. The detangler should be used after treatment as a lice deterrent. 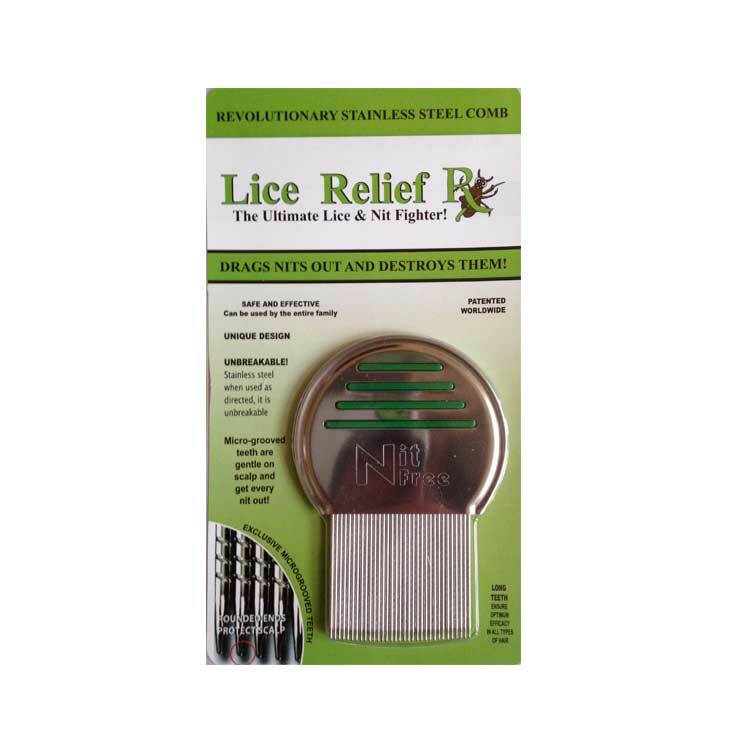 This kit contains everything you need to eliminate your lice problem and keep them away! 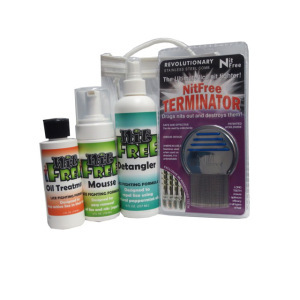 Included in this kit is the mousse for killing the live lice, mint spray to use as a detangler and a deterrent to keep them away, and the terminator comb. Instructions are listed on each bottle. 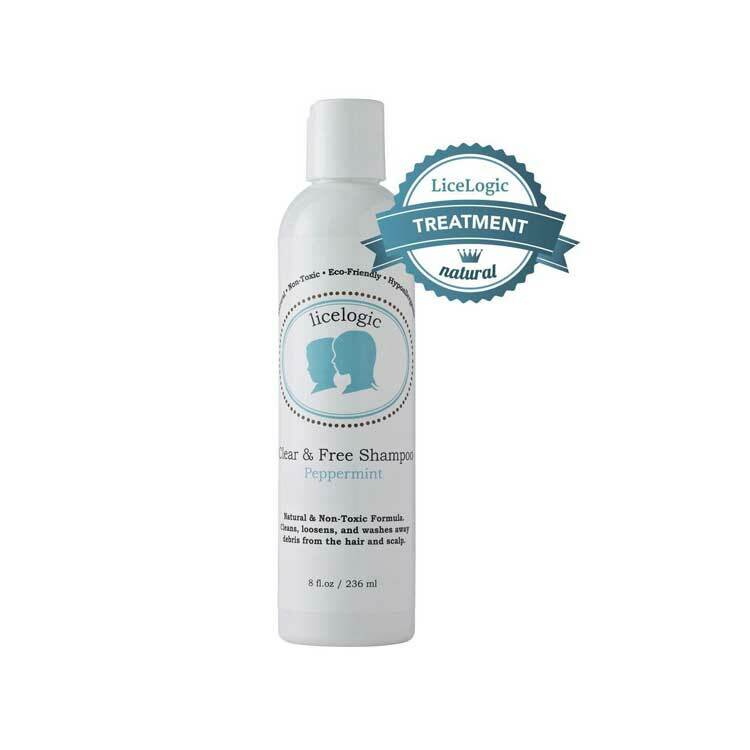 Natural lice treatment shampoo is non-toxic and proven to kill lice and nits. Plant-based enzymes are effective and gentle on the hair and scalp, and can be used as often as needed to get rid of any lice infestation. 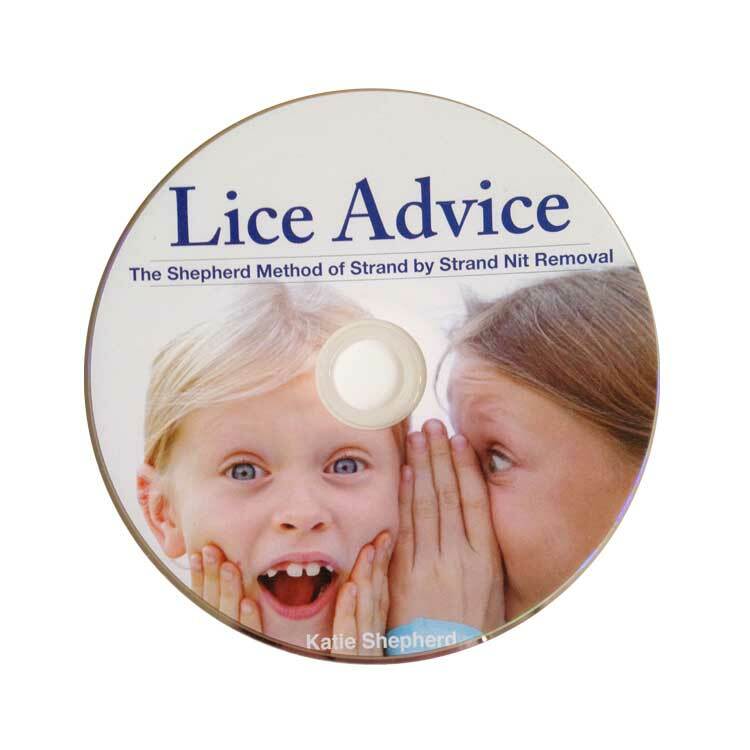 Independently tested and shown to kill lice and nits in all stages of development on contact. Our Mousse is an enzyme based nit glue dissolver. This product is designed to dissolve protein in the glue that holds the nit (egg) to the hair shaft, allowing for ease in removal using our Nit Free Terminator Comb! Parents desperate for help complain that there is no "How-to-Manuel" available, leaving most parents blindly seeking advice wherever they can find it. 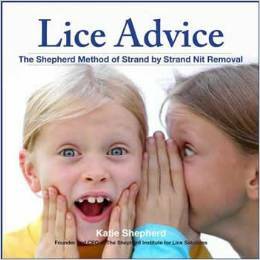 "Lice Advice - The Shepherd Method of Strand by Strand Nit Removal" is the "how to" book that parents have long been waiting for. 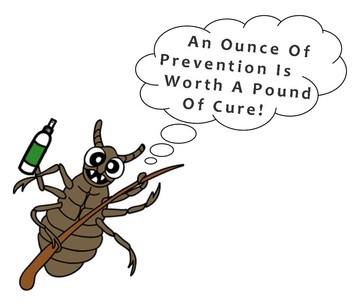 A visual summary of the "Lice Advice" Book. An ideal option for parents on the go.